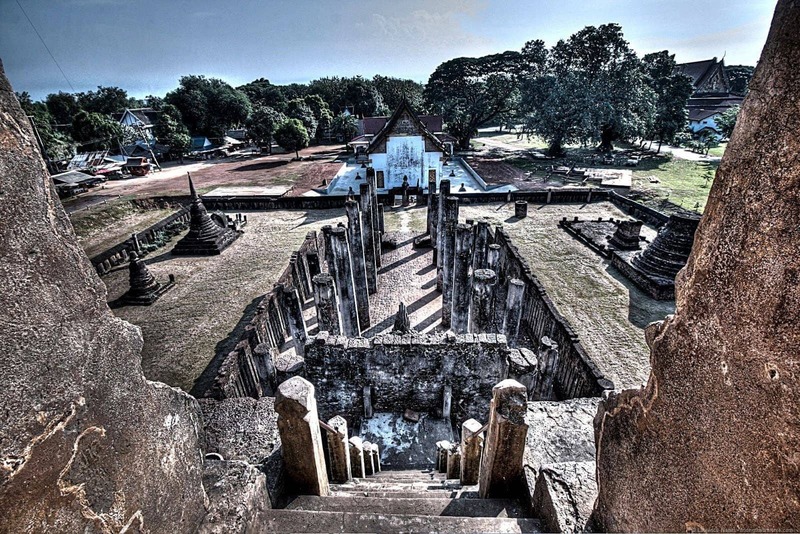 We recently had the distinct pleasure of exploring the original Thai capital of Sukhothai, the place where the Thai language as it exists today was born, and where much of Thailand’s culture is believed to have originated. 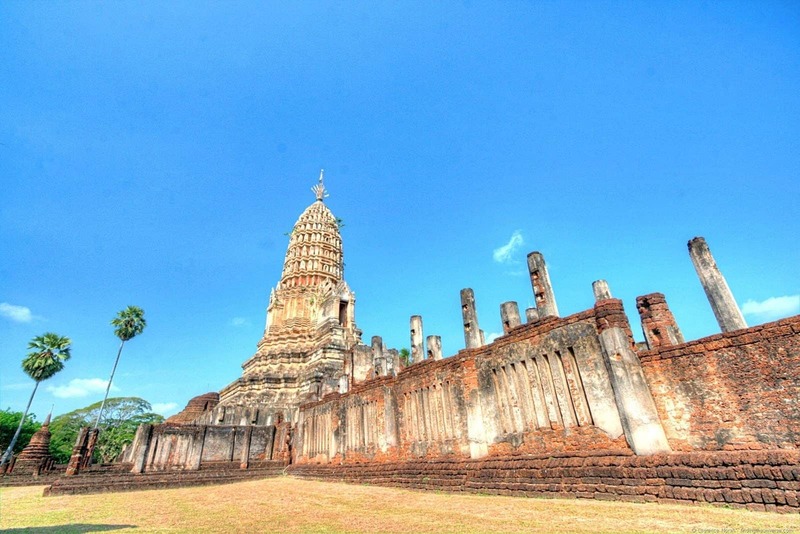 It’s also the place where the happiness of the Thai people is said to have started – Sukhothai translating literally as the “dawn of happiness”. 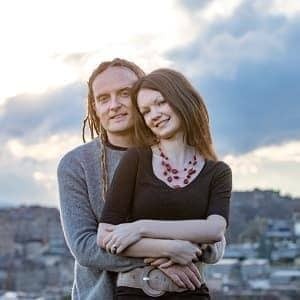 We were able to spend three days exploring the temple ruins of the old city, (of which there are many! 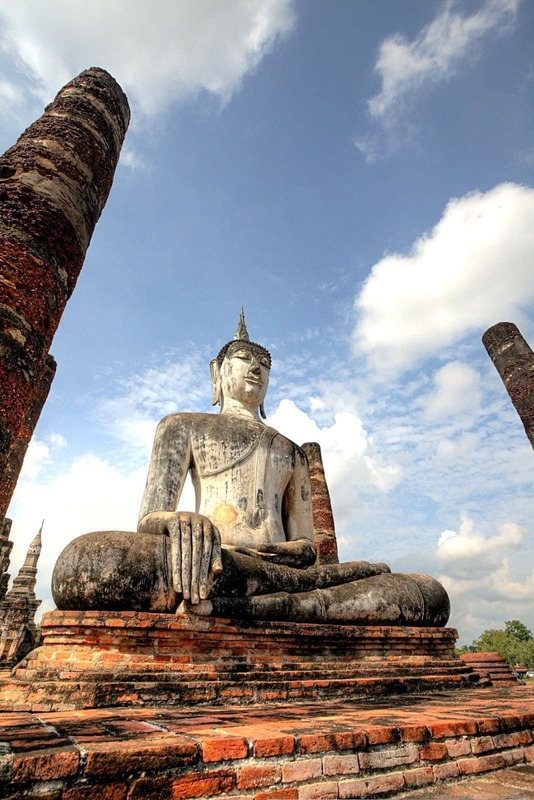 ), as well as some surrounding attractions, including the former city of Si Satchanalai, some 60km to the north. I’m going to be putting together a post all about our adventures there with some ideas for what to see and how to get around in the not too far of future, including some more photos. In the meantime though, I thought you might enjoy a quick look at just some of the photos I took in my wanderings around this area, of which I have a very great many. These are some of my favourites! 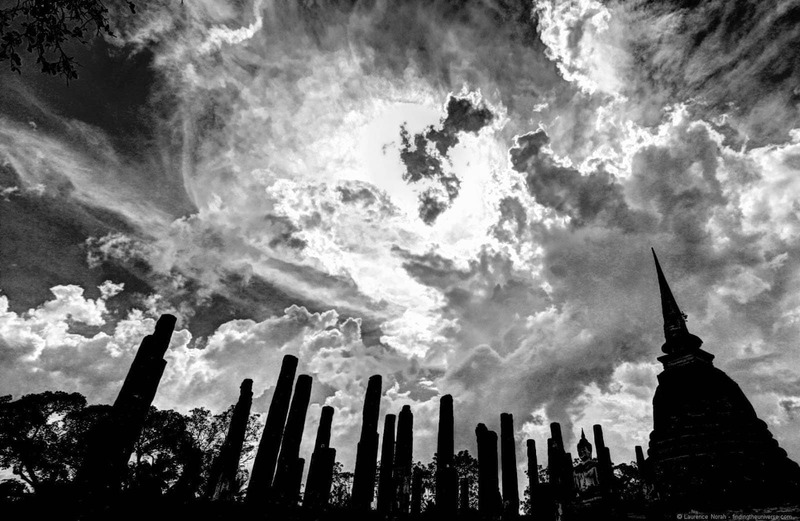 We had some pretty epic clouds during our wanders, which let me capture end of the world style shots like this, over the ruined columns of the temple. We were lucky enough to experience the Thai Festival of Loy Krathong, which honours the water spirits, during our time in Sukhothai. 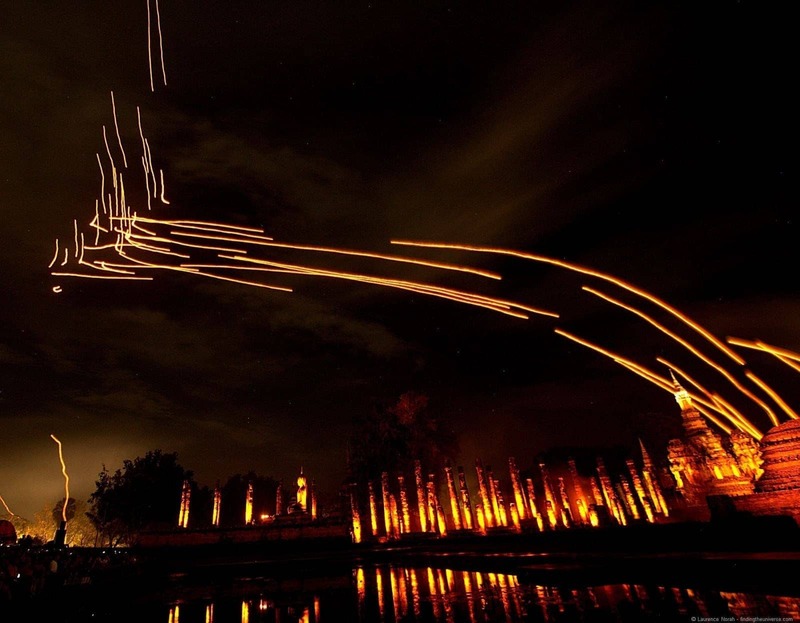 This shot is of the lanterns being released into the sky as a long exposure. 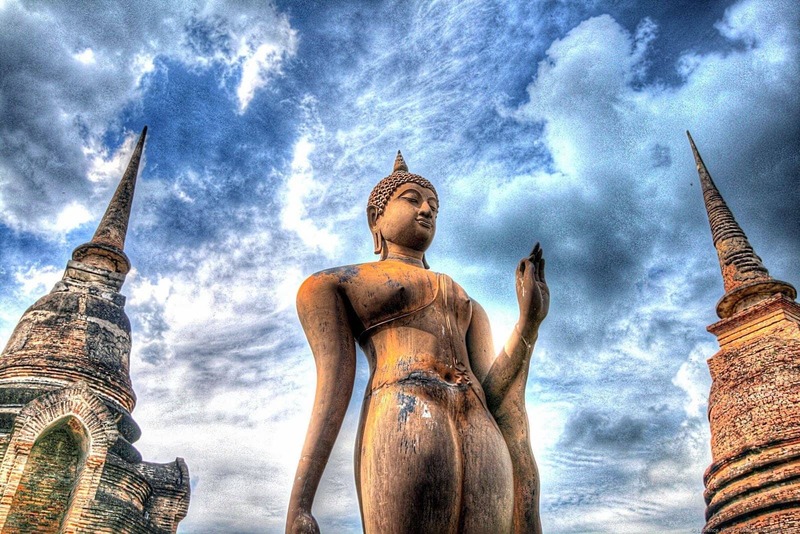 As you can probably imagine, the image of Buddha is prevalent all over these two old cities, portrayed in four different positions. This would be the seated Buddha. Water played a critical part in the design of this city, which had a triple moat around the outside, and was filled with lakes amongst the temples. 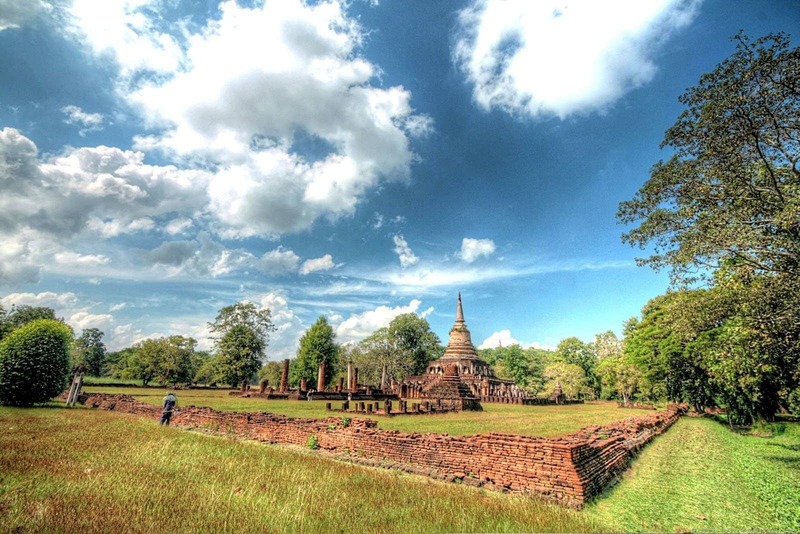 Wat Phra Si Ratana Mahathat is near Si Satchanalai, and has distinct Khmer influences. This was one of my favourite temples in the area, not least because you can climb up to the doorway for a great view. 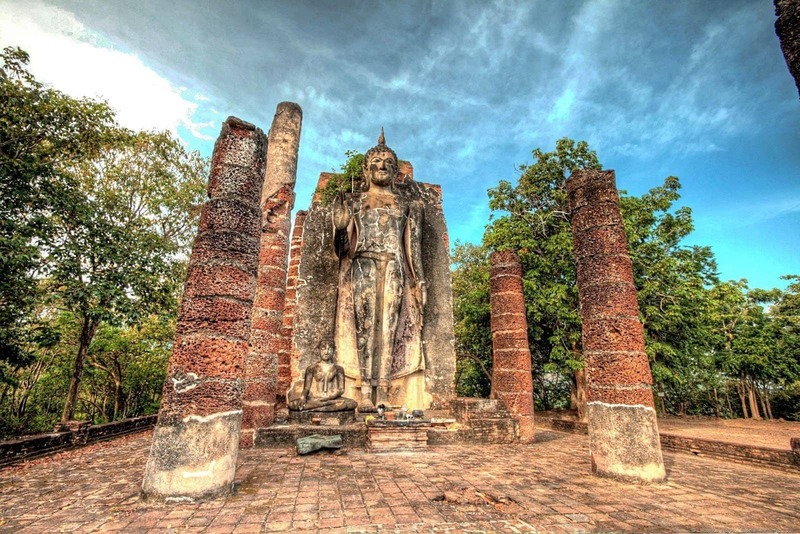 It wasn’t all temples on plains we discovered – outside the Sukhothai city walls and in the Si Satchanalai ruins there were hill top temples hiding in the trees. I admit to the odd Indiana Jones theme tune whistle. This is Wat Chang Lom, probably the most famous of the Si Satchanalai temples, which happens to be surrounded by 39 life sized elephant statues, in varying states of decay. 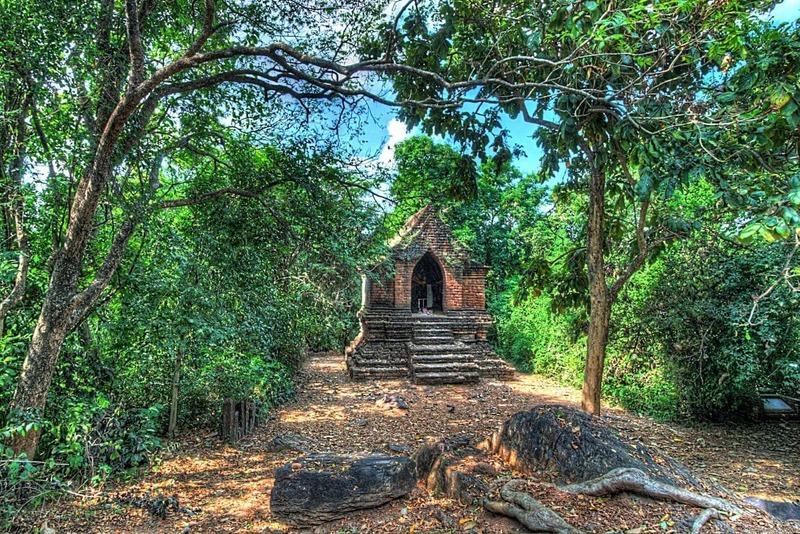 Chang means elephant in Thai – so this is literally the elephant temple. 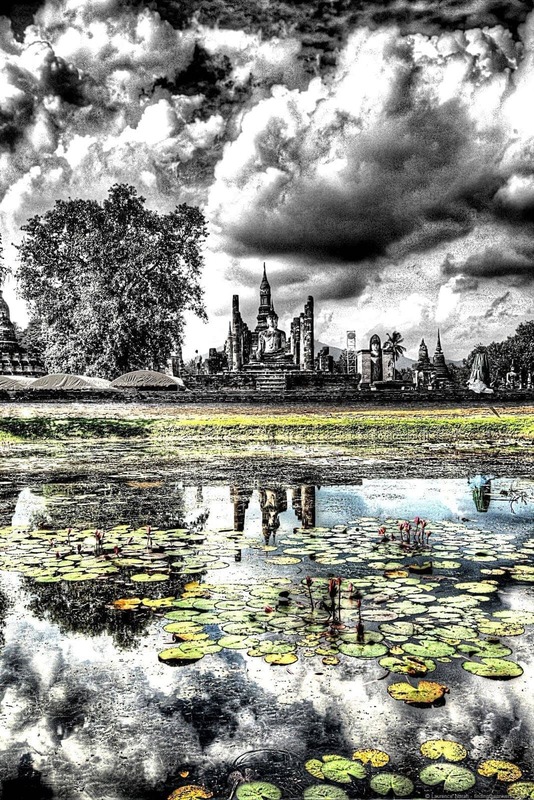 And finally, the view from the doorway in the previously photographed Wat Phra Si Ratana Mahathat. 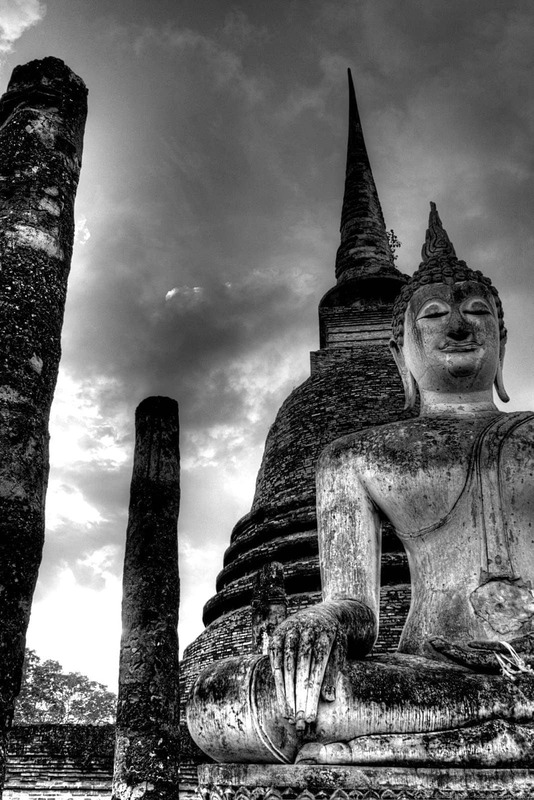 I hoped you enjoyed this whistle stop tour of some of my favourite temple shots from these two lovely old Thai cities. As always, let me know your thoughts in the comments below.